A fusion of pure essential oils and natural ingredients blended to create a reviving and rejuvenating facial oil. A blissful delight for Aging or Mature skin. This oil is a harmonious combination of Evening primrose, Macadamia Nut, Rosehip and Sweet Almond carrier oils blended together with the following pure essential oils:- Lavender, Rosewood, Clary Sage, Cypress, Carrot Seed, Sandalwood, Frankincense and Rose with a touch of Natural Vitamin E for its added skin conditioning and anti-oxidising properties. 100mls supplied in a clear PET bottle with a dropper insert for easy application. Instructions for use: In the morning apply a few drops of oil to the cleansed face and gently massage into the skin (if the skin is wet, the oil will be absorbed easier). Alternatively, a few drops can be applied underneath your moisturiser. Avoid the delicate eye area in case of sensitivity. Rosa canina (Rosehip) Oil, Oenothera biennis (Evening primrose) Oil, Macadamia ternifolia (Macadamia) Oil, Prunus amygdalus dulcis (Sweet almond) Oil, Lavandula angustifolia (Lavender) Oil, Aniba rosaeodora (Rosewood) Oil, Salvia sclarea (Clary Sage) Oil, Cupressus sempervirens (Cypress) Oil, Santalum album (Sandalwood) Oil, Daucus carota sativa (Carrot) Oil, Boswellia carteri (Frankincense) Oil, Rosa centifolia (Rose) Oil, Tocopherol (Vitamin E). I have tried many face oils and can honestly say that this is as effective as any of the more expensive oils. It is made in the UK and uses all natural and beneficial aromatherapy oils . Postage is only£2.95 so it still beats many other facial oils. the packaging is pretty basic but the contents is what counts I think. The company state " All of our stock is Ethically sourced, English and Organic wherever possible. 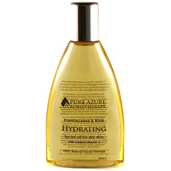 At Pure Azure Aromatherapy our promise is to only stock products with 100% natural oils and ingredients. Our essential oils, carrier oils and organic candles are stocked in shops and Salons in the UK and are used by Health Practitioners and Aromatherapists nationwide." "I have tried many face oils and can honestly say that this is as effective as any of the more expensive oils. It is made..."